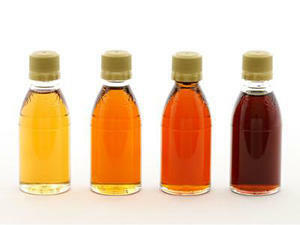 When it comes to sweeteners, maple syrup is pretty popular. It is completely natural and there are claims that it has a lot more nutrients than sugar and that it is healthier, as well. A lot more fantastic claims exist and so we are going to separate the real facts from existing notions. This is the sap in the maple tree and it is what nourishes the tree. Native North Americans have been using it for hundreds of years. Canada is the largest supplier globally and accounts for four out of five bottles produced. A hole is drilled into the tree and then a container is attached to catch the fluid. The raw syrup is then boiled until a thick consistency is achieved - this is when the majority of its water content has evaporated. This syrup goes through a filtration process and is then bottled. Each batch is tested and graded in terms of what color it is. This type of classification is not standardized across all countries. Grade A comes in three subcategories - Dark, Medium or Light Amber. Grade B applies to the darkest syrup only. The primary difference is when the sap is collected. The later in the season, the darker the sap will be. The darker varieties have a distinctive flavor and generally are used in baking or for other recipes. You are more likely to be familiar with the lighter syrups, which are used to add flavor after cooking. 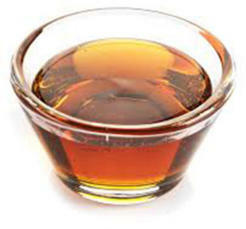 One advantage that maple syrup has over normal sugar is that it is not simply empty calories. 7% of the recommended daily allowance of Calcium. 6% of the recommended daily allowance of Potassium. 7% of the recommended daily allowance of Iron. 28% of the recommended daily allowance of Zinc. 165% of the recommended daily allowance of Manganese. So yes, it has some nutritional value. The problem is that there is also a whole lot of sugar in it as well. Around two-thirds of its content is sucrose so that 100g comes with 67% sugar. By now, I am sure that you know that sugar is bad for you. It is currently the leading cause of some of the worst chronic diseases. 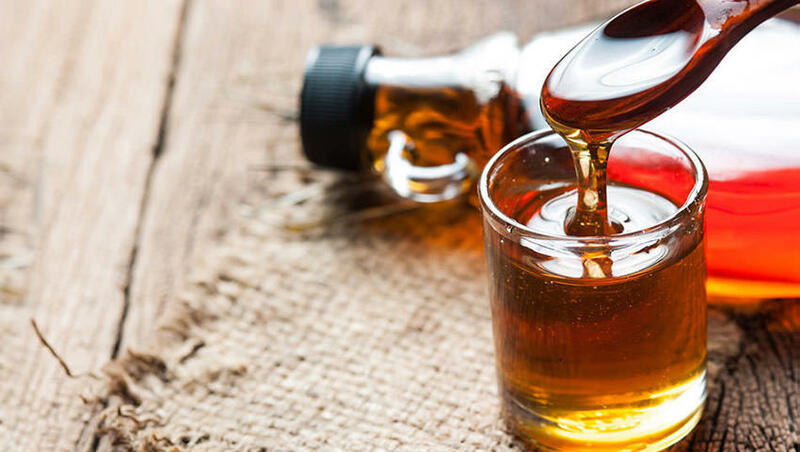 Even though there are nutrients in maple syrup, this is no reason to indulge in it as the sugar content outweighs any real benefits that may be derived. If you truly want to get enough vitamins and minerals, real food is best - that is food that has not been processed. Eat properly and you won't have a problem. If on the other hand, you plan to use a sweetener anyway, you will indeed benefit since spoon for spoon, maple syrup has a third less sugar than normal table sugar. It also rates about 11 points lower on the GI scale and so will not increase your blood sugar levels as quickly. When it comes to a number of diseases and the process of aging as a whole, free radicals are believed to be amongst the primary causes. It is because the free radicals are so volatile that they cause so much damage. Antioxidants have been at the center stage for some time now in anti-aging circles. They can moderate some of the damage caused by the free radicals and also render them inert. A lot of research has been conducted in order to evaluate the quantity of antioxidants that might be contained in maple syrup and it has been found that there may be as many as twenty-four individual varieties. There are more of these in dark syrup. Whilst this may be a good thing, especially in light of all the minerals contained, it is still not enough to offset the damage that the sugar content can cause. In one of the studies, it was estimated that the effect of replacing each refined sugar consumed by the average person with maple syrup, has the same effect as eating just one portion of berries or nuts. It is far better, and healthier to completely forego all sweeteners instead of playing the swapping game. If you're having trouble staying away from sweeteners, try an natural appetite suppressant to help with the cravings. Some of the beneficial compounds within the syrup are not naturally present but are byproducts of the process of boiling of it. Quebecol is amongst these. Some of these compounds have been proven to help slow down the rate at which cancer grows and could also decrease the rate at which carbs are broken down in our bodies. These studies were conducted in a lab and not on living human beings, so the findings are not as encouraging as they might seem. It is also a good thing to remember that just about every one of these studies (and the consequent misinformation spread by the media) were sponsored by major maple syrup producers. It may have a few useful antioxidants and nutrients but still contains lashings of sugar as well. Considering the high calorific content of the syrup, you are better off looking for these nutrients in foods that are really healthy - such as veggies, fruit, etc. If you swap out table sugar for it and make sure that you use good quality syrup, you will benefit a little. Adding it over and above your normal diet is asking for trouble. Use it occasionally, if at all.